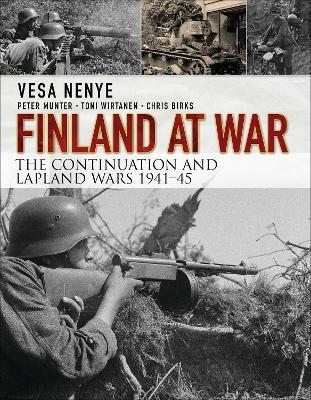 After graduating college, Vesa Nenye followed his family's illustrious military tradition and served his country, Finland, as a Tank Commander and an Arms & Munitions NCO. Upon leaving the armed forces, he became a member of the Panssarikilta - the armoured core heritage society in Finland. A veteran of historical and strategy gaming in Finland, Peter Munter founded a play-by-mail business and worked extensively as writer and translator of roleplaying supplements in the late 80s. Peter is an ex-Marine from the Finnish Navy and currently works as a Managing Director in a games retail chain that he established with Vesa Nenye in 1997. Toni Wirtanen served in the Kymi Jager Battalion of the Karelian Brigade as an infantry anti-tank specialist and has ever since been active with the reservist corps. Toni is best known for his work as the singer and songwriter in the rock band Apulanta, founded in 1991. Chris Birks moved from England to Bergen, Norway, aged 13, and, whilst studying at the University of Bergen, worked at building the Norwegian hobby scene for miniature strategy war-gaming. Chris now works as a teacher of mathematics and natural sciences.